Singapore-based shipbuilder Keppel Offshore & Marine and its U.S. subsidiary have agreed to pay a total penalty of more than $422 million to resolve charges with authorities in the United States, Brazil and Singapore related to a decade-long scheme to pay millions of dollars in bribes to officials in Brazil, the U.S. Justice Dept. announced Friday. “The resolutions with Keppel and its U.S. subsidiary are the result of a multinational effort to investigate and prosecute a corruption scheme that resulted in the payment by the defendant companies of over $50 million in bribes to Brazilian officials and in profits for the defendant companies of over $350 million from business corruptly obtained in Brazil,” said Acting U.S. Attorney Bridget M. Rohde of the Eastern District of New York, who helped prosecute the case. Keppel USA pleaded guilty today in connection with the resolution, while a guilty plea by a former senior member of Keppel’s legal department was also unsealed. According to admissions and court documents, beginning by at least 2001 and continuing until at least 2014, Keppel conspired to violate the Foreign Corrupt Practices Act (FCPA) by paying approximately $55 million in bribes to officials at the Brazilian state-owned oil company Petrobras and to the then-governing political party in Brazil in order to win 13 contracts with Petrobras and another Brazilian entity. 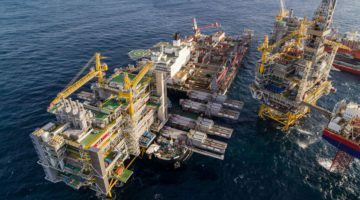 Keppel hid those payments by paying large commissions to an intermediary, under the guise of legitimate consulting agreements, who then passed the money to the Brazilian officials and the Brazilian political party. The case marks the first coordinated FCPA resolution with Singapore and the most recent of several coordinated resolutions with Brazil. “In an attempt to conceal their crimes, the defendants used the global financial system – including the United States banking system – to disguise the source and disbursement of the bribe payments by passing funds through a series of shell companies. The United States, working with its law enforcement partners abroad, will continue to hold responsible those corporations and individuals who seek to enrich themselves through the corruption of government officials and legitimate governmental functions,” added Rohde. The Justice Department also unsealed charges Friday against a former senior member of Keppel’s legal department, who pleaded guilty to one count of conspiracy to violate the FCPA on August 29, 2017 in the Eastern District of New York. He is awaiting sentencing.